Cold Case Serious Crime Squad detectives have charged a 73-year-old man as a result of their investigation into alleged historic child sexual abuse incidents. It is alleged between 2002 and 2005, the man sexually assaulted five girls who were aged between 6 and 11 years-old at the time of the first incident. It will be alleged the incidents occurred when the man was babysitting children in the Warnbro area during the above years. •	One count of Procured or Encouraged a Child to Engage in Sexual Behaviour. He is due to appear before the Rockingham Magistrates Court on 6 May 2019. 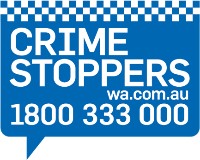 If you are or have been a victim of sexual abuse, or if you have information about someone being abused, please contact police on 131 444.